Progressive Education Society was established in 1934 by Shankarraoji Kanitkar & prominent teachers and experts in educational field. 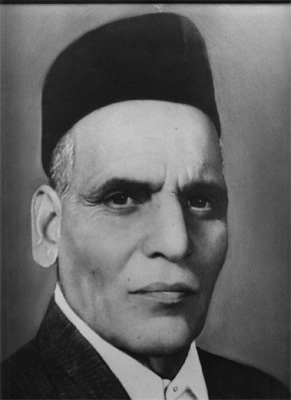 Shri Shankarraoji Kanitkar was a freedom fighter and a member of Pune Municipal Corporation for 20 years. He was President for Pune Municipal Corporation for one year. Presently there are 53 Educational Institutes consisting of Schools, Colleges, Professional Colleges, Management Institutes, Computer Center, etc. The future probably belongs to people who dare to dream big. It belongs to those who make way through the clouds of oblivion with the force of their determination. A suregon by profession, Dr.G.R.Ekbote made his foray into the world of administration in 1985. Fuelled by the desire for pedagogical pursuits, he accepted the challenging responsibility of leading the Progressive Education Society, Pune as its chairman. In order to keep pace with the changing scenario of education, he has introduced emerging and need-based courses in the institutions run by Progressive Education Society. It is an account of his pro-active approach and foresightedness that he has been successfully leading 56 educational institutions in Pune City. Dr.Ekbote was granted an equivalence of Ph.D degree by Maharashtra University of Health Sciences, Nashik for his outstanding academic qualifications, research work and eminence achieved in his profession. Presently, he is working as the Pro-Vice Chancellor of the same University. Appointed as a Member of Consultative Group on 'Education' by planning commission, Govt. of India. Appointed as a Member of Consultative Group on 'Teacher's Education' by planning commission, Govt. of India. He is a life member of Progressive Education Society and is also looking into its affairs as a Deputy Secretary. A popular teacher with good command and knowledge in his field, he has been the recipient of several Awards for his contribution to academics. He has also authored several books in Statistics. He worked as the Chairman, Board of Statistics, University of Pune from 2005 – 2010. He is also Member, Academic Council of Pune University. His role in the matters of the college – academic and administrative is praiseworthy. A Lecturer in Chemistry, Wadia College, Pune, Prof. S.V.Todkar is Chairman, Local Management Committee of P.E.Society's Modern College of Arts, Science and Commerce, Pune – 16. He is also Deputy Secretary of Progressive Education Society, Pune and Member of the Senate, Pune University. Prof. Todkar plays an active role in the administrative matters of the college and always provides valuable inputs in overall functioning of college matters. 1) Printing of brochures for entrance examinations. 2) Sending data of approved posts to the state Gove. Filling up of Examination Forms.